Hope everyone had a happy New Year! 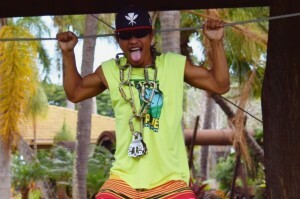 Maui Zipline is ringing in the New Year with the results of the Guide Olympics at the end of 2014. For the first time ever we have a back to back champ! Winning this year again… by a wide margin… Chevis Kong! When he wasn’t destroying the competition he was cheering everyone else on and being a gracious winner. 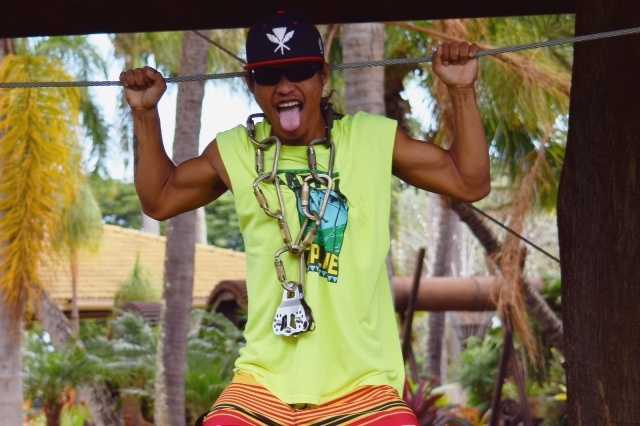 Chevis continues to not only be an amazing, energetic, fun loving guide, but he is also one of the fastest and safest employees Maui Zipline has ever had the privilege to employ. The biggest surprise of the evening was Spencer, who finished in last place for the 2013 games. He won the silver medal and also earned the MIZ award of the day (Most Improved Zipliner). Wesley was also a surprise in the bronze position after having surgery a month or two before. Jake and Kaulana were tied in the 4th place non-podium finish. These two were hired within a couple weeks of each other almost 2 years ago and couldn’t find a way to edge the other out of position. The weather is great over here, hope the East Coast survived the blizzard. 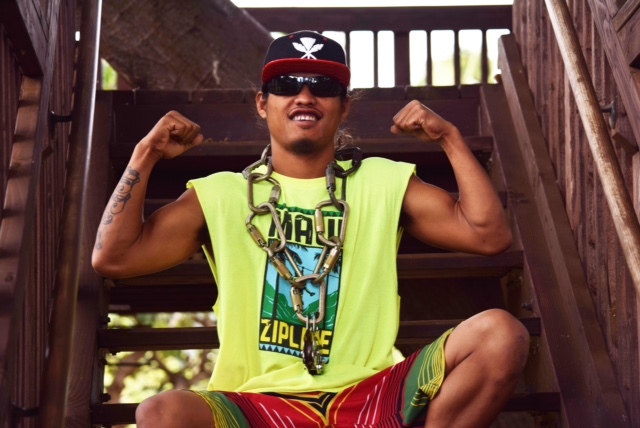 Come visit Maui Zipline and ff you would like an autograph from the reigning Zipline Gold Medalist known as “King Chevis Kong,” he would be delighted to accommodate you. He also just had a baby girl last week, congrats Chevis from all of us!